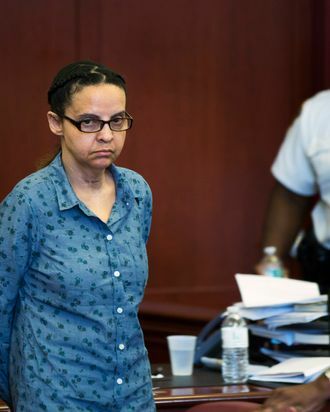 After three weeks of conflicting testimony from psychiatric experts, a judge ruled Tuesday that Yoselyn Ortega is fit to stand trial for allegedly murdering two children in her care. Defense attorney Valerie Van Leer-Greenberg argued that Ortega “can’t recount anything” and is only repeating things she’s heard. “The defendant is tantamount to a parakeet,” she said. However, the judge noted that Ortega was animated in recorded phone calls made to relatives from jail. “The confusion and lack of understanding of this defendant seems to occur only when she’s questioned in a formal setting by doctors evaluating her fitness,” he said.